Did you make any resolutions concerning your personal finances last January? If so, how did you do? Did you attain your financial goals, or you didn’t stick to your resolutions? January is a time to look back as well as look forward – review your financial performance for the past year, and then look for ways to improve this year. In case you didn’t stick to your financial resolutions, there is some good news. The good news is that you get a fresh crack at them this year (rather, every year!!). If you haven’t done so already, right now is as good a time as any for determining what you’re worth (financially, of course). Calculating your net worth is a key step to assessing your financial health and reaching your financial goals. Looking closely at all your assets and liabilities helps create a clear picture of where you are prioritizing your current spending and saving and where you need to make changes in your spending and saving habits. Many websites, offer free tools to help you calculate your net worth. The resolutions you need to make will become more obvious after making this calculation. Creating easy access to your funds can be quite tempting, and if you are like most people, you will spend money that you can easily attain. Therefore, to help you reach your goal, be sure to transfer amounts earmarked for savings from your bank account to a designated separate investment account that is not easily accessed, making it less tempting for you to spend the money that you have managed to save. 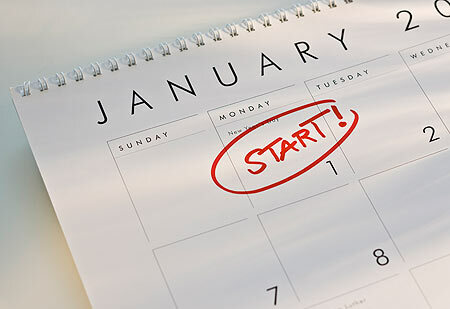 Take a few minutes now to set new savings goals for 2014, including how much you would like to add to your retirement nest egg, your children’s education fund or the down payment on your home. And don’t forget about repaying debts especially costly credit card debt. However, if you must choose between a goal and repaying a loan, talk to your financial advisor to determine which option is more suitable for you. The previous year was no different from any other year: some sectors over-performed and some sectors under-performed. Chances are that the sectors that did the best last year may not enjoy a repeat performance this year. By re-balancing your portfolio to its original or updated asset allocation, you take steps to buy more of an asset class that has fallen and is therefore cheap; and also book profits in asset classes that have become expensive. Review of your asset allocation is also important because in sharp bull markets your equity portfolio may have become inflated; conversely in a down market, your equity allocation may be much lower than your original equity allocation, as a result of any sharp fall. Similarly, if a mutual fund has steadily under-performed its benchmark by a t least 5 percentage points over 4-8 quarters, then the first thing would be for you to check with your advisor whether you need to stop your SIP on the fund. As you move through your career, your life and health insurance needs continue to change. Give some thought as to how much protection you need and compare it to the coverage you currently have. Consider whether you need more or less insurance, and whether your needs would be better satisfied by existing insurance policies or newer ones (for example, whether one needs to shift from family floater to individual health policies, etc.). Be cautious about setting too many or unrealistic financial goals. Otherwise, you may be unable to accomplish any of them. Take this opportunity to restate your financial resolutions simply and clearly for the New Year. It may be a good idea to maintain a checklist to keep track of how you are doing throughout the year, so that you can make any necessary modifications. Consider meeting with your financial advisor to review the goals and objectives that you have established.